Comcast announced on October 4th the availability of live NHL games for their 7.7 million Internet service subscribers. For hockey starved fans this is a great way to watch games that they would normally not see or have to pay extra through the NHL game package. The press release states that 300 games will be shown throughout the season including the Stanley Cup Playoffs. Also, Comcast plans to provide archived games, clips, and a hockey community on the Comcast.net web site. All users need is Windows Media Player 9 or later and Internet Explorer 6. At first blush this event seems like a nice extra benefit for Comcast Internet subscribers, but it is really Comcast’s trial attempt at IPTV. They are using the same technology that telcos, such as SBC, are using in their IPTV trials. The video streams will be encoded using Windows Media 9 with Digital Rights Management (DRM) and sent over their HFC network. 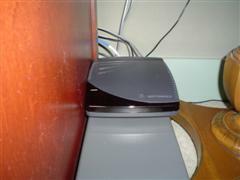 The customer will use similar software on their PC as will be embedded in newer set-top boxes. The head-end will utilize media servers with the WMP CODECs. The only thing that will be different is that the NHL streams are being delivered over a DOCSIS connection. Comcast has built a small test-bed to trial the delivery of broadcast TV over IP. NHL programming is available to a little over a third of their TV subscribership. They can test the scalability of IPTV without the risk of an expensive trial. Comcast can test the strength of DRM without exposing a large quantity of material. In addition to a technology trial, it is also a marketing trial to build an interactive community around the programming. If it works they can claim that they have successfully executed the largest IPTV trial to date. If it fails, they have some great ammunition against their RBOC competitors who are dependent on IP to deliver video programming. They have nothing to loose really. How is it working so far? I wish I knew. I have not been able to access any of the programming since it started on October 5th. I have the latest version of everything necessary to play the streams. I have no problem playing other streaming Windows Media content from the Comcast or other web sites (Light Reading). I have only been able to reach Comcast’s contract technical support in Canada which cannot verify that the streams are even working or if they are over subscribed. Their national support team in Denver is equipped to verify if they can access the stream, but I have not been able to reach them during a game. I’ll try again tonight. At this point, I am under the impression that their servers cannot handle the subscriber load. What about the other content? I thought that I could at least try to view an archived game to see how it worked. The archived content is no where to be found on the Comcast.net web site. A call to customer service yielded the response that more content will be posted by the end of the month. Forget about clips of the game highlights or previews and the fantasy hockey league. By the time they are posted, the season will be well under way. A cynic would think that Comcast is trying to show that IPTV will not scale to support a large quantity of users. That would certainly be a shot across the bow to all of the telcos and associated equipment vendors. Think of the billions of dollars invested in bringing IPTV to market. Comcast does not need IPTV to be successful. They have a 1 GHz broadband plant with digitization underway that will buy them a tremendous quantity of channels. On the other hand, the telcos have no alternative but rely on IPTV. Their narrowband/wideband plant can only handle a couple channels at a time. Their triple-play depends on video to add a new revenue stream. MSO will add telephony services without a significant impact to the loading of their plant. So what is really happing here? Chances are that it is just a poorly executed trial and by the end of the month all 7.7 million Comcast High-Speed Internet users can access live NHL games and all of the rest of the content advertised. Success with the NHL games will allow Comcast to demonstrate that IPTV works so they can deliver content to any household media device alleviating the need to network DVR and Media Center PCs. Once again it is all about who will own the customer. One day later, I still cannot watch games, and technical support has been little help. I polled others in different Comcast markets and they indicate that they are having similar problems. Hmmmmmm, does it scale? Decoupling Services from the Pipe: It’s the Content, Stupid!